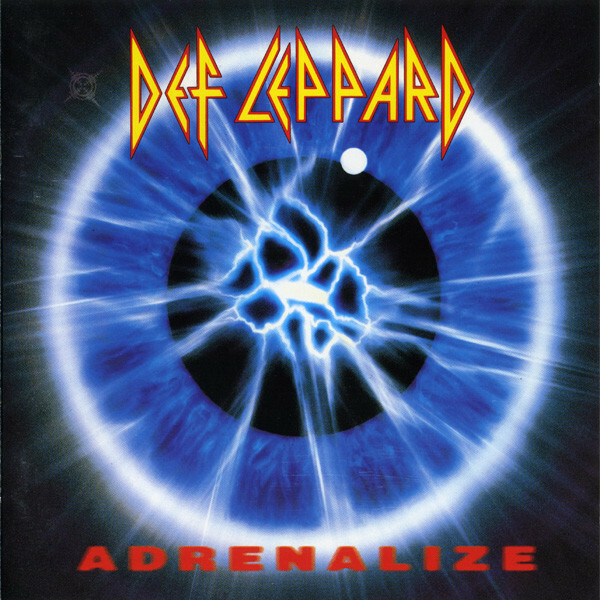 “Do you wanna get rocked?” asks Def Leppard singer Joe Elliott at the beginning of the lead-off track from the band’s first album in five years. The answer is sure—but not by a boring, go-nowhere piece of bubblegum pop/metal like “Let’s Get Rocked”. Actually, there’s very little on Adrenalize—with the exception of the catchy “Heaven Is”—that I would wanna get rocked by. The majority of the album is taken up by half-baked retreads of the songs that made their last release, Hysteria, such a huge seller (10 million copies in the States alone). Granted, the British group has had some rotten luck—most recently with the drug-related death of founding guitarist Steve “Steamin’ ” Clark—but pity aside, they don’t come up with the memorable musical goods on this one. The band seems to be resting on its laurels, when it should be trying to get back the spark that inflamed its best album, High ’N Dry.